Sr. Osvaldo Bachião the owner of Fazenda São João is the 3rd generation to farm coffee. His family farm lies high in the hills surrounding Nova Rezende in the famous coffee growing region of Sul de Minas Gerais. Sr. Osvaldo’s grandfather, Archangelo Bachião, arrived in Brazil from Italy in the late 19th century, a young, single man with a dream of making a new life in Brazil. Sr. Osvaldo recounts with pride that from these humble beginnings, his grandfather transformed himself into a coffee pioneer in the South of Minas Gerais. Archangelo met his wife, also from Italy, in the Três Corações region (a municipality in Southern Minas) and shortly after moved to nearby Paraguaçu, where he began to work in coffee. When he started, he had no experience with coffee at all – but he saw the potential for coffee to become huge in the region. He quickly developed an affinity for the work and took a position as ‘Meeiro’ – someone who earns not a wage for their work but rather is a stakeholder of the farm and splits profits with the actual owner of the land. His grandfather developed his first farm significantly and made a name for himself as one of the first coffee producers in the region, creating an example for many to follow. 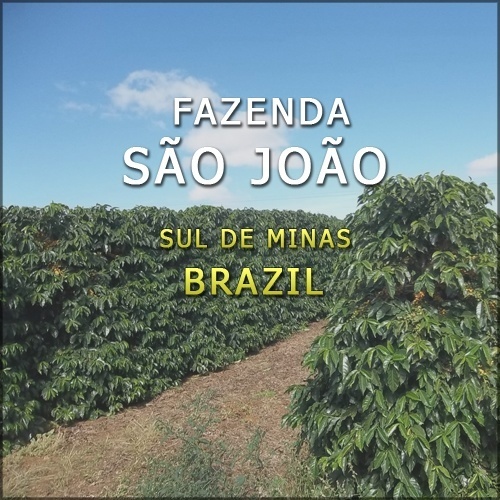 It was here that the Bachião family and coffee cultivation became inextricably linked. Osvoldo’s father, Boaventura, was born (one of 7 kids) on the farm in Paraguaçu. As a young man, around 1914, he moved to Nova Rezende – about 150 km to the northeast – and began to work in the small town of Mondo Novo. He had made a bit of money from working in coffee, and with this, he purchased some small parcels of land in the town that was, at the time, semi-abandoned and not under any cultivation. For three years he put all his work into making the farm the best it could be. He cleared the land, pulled up trees and completely renovated what was then 70 acres of potentially great coffee farming land. It was here, on the Mondo Novo farm, that Osvaldo was born. However, when he was only one year old the family moved to a piece of land that his father had purchased in 1938 – the land that today comprises Finca São João . In those days, recalls Osvaldo, coffee was carried to the yards by bull and cart and the region was so remote that he and his brothers would have to walk more than 4 km just to go to school – though in those days people admired any kids who would be seen walking that far because it usually meant that they were going to school. The main house at São João, where Osvaldo still lives today, was built in 1944, though for a short time he lived in his father-in-law’s house shortly after marrying his wife – a second cousin whose family also came from Italy near the town of Genova. Due to Osvaldo’s hard work and that of his family, the farm now covers 150 hectares and has an annual production of 6,500 bags. Although the farm lies high in the mountains at 1,120 to 1,230 meters above sea level, the relatively level terrain has enabled the family to mechanise approximately 95% of the harvest. The farm has 9 year-round employees and contract and additional 20 during the harvest season. The family always seeks to marry productivity with high quality, and for their 100% bourbon lots, such as this one, maintaining quality is a particularly high priority. As they say, their Bourbon trees are their ‘babies’. Additionally, they conduct a good deal of microlot separation in order to guarantee the highest possible quality.